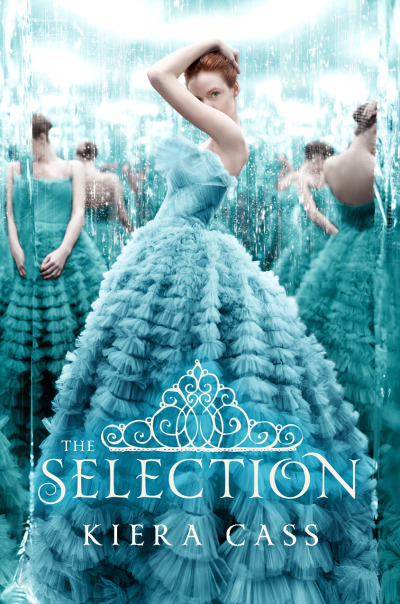 About: The Selection is the first book in the dystopian series The Selection Trilogy. It takes place in the country of Illéa—formerly known as The United States of America, Mexico, and Canada, which disbanded after war tore them apart. Illéa is ruled by a monarchy that sets eight social castes on every person depending on a father or husband’s career. Every time the prince comes of age, a selection takes place where single women between the ages of 16 and 21 are put into a lottery. Out of the millions that enter, 35 women—each representing their state-like province—win. America Singer is one of them. A born Five, classical artist America was born in the province of Carolina with four siblings and has absolutely no interest in royalty whatsoever. All she would like is to marry her secret lover Aspen—a Six—and try to make end’s meet. But when the once in a lifetime chance arises to become a Three and make more money than she ever could have, America takes a chance and goes to compete for the heart of Prince Maxon. Not forgetting about her love back home, America slowly but surely becomes a friend and confidante of the Prince, not seeing that what began as loathe slowly turns into love. What I liked about this book: First, I loved how you cannot judge this book by its cover. It may be a pretty girl in a pretty dress, but this book has everything I love inside: action, comedy, and romance. I really loved the princess-y vibe, but I also loved the rebellious—albeit a little crazy—personality of our protagonist. I also loved Maxon for putting up with good ‘ol America for as long as he did. Who I would recommend this to: All you love-triangle lovers, you Hunger Games beasts, you princess protectors, and all of you fierce feminists will adore this book just like I do. This entry was posted in adventure, dystopian, romance, series, Teen Book Review and tagged adventure, Dystopian, romance, teen book review. Bookmark the permalink.